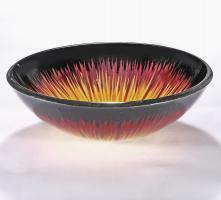 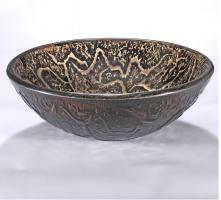 The rich golden shade of the tempered glass material is enhanced by the black grid like pattern on the inside of the bowl. 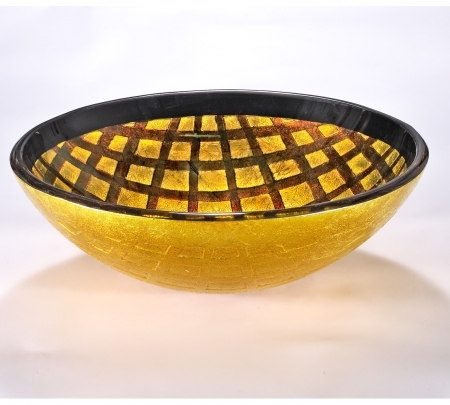 This design adds an intense sense of depth to the piece that will look great in the bathroom. 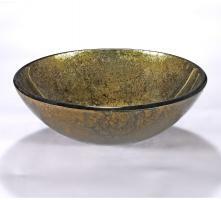 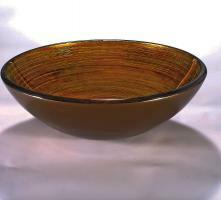 The exterior of the bowl is a solid gold color.